If you're always short on time, then see how a house cleaning service in Lawrence, KS can help you reclaim some free hours. With recurring services from Merry Maids of Lawrence, you won't have to worry about dust and dirt. We'll vacuum your floors, clean your baseboards, and remove stains. 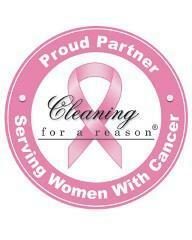 Give yourself permission to relax, and let us handle all of your house cleaning needs in Lawrence, KS. We work with people throughout the area, so call Merry Maids of Lawrence today for your free estimate.